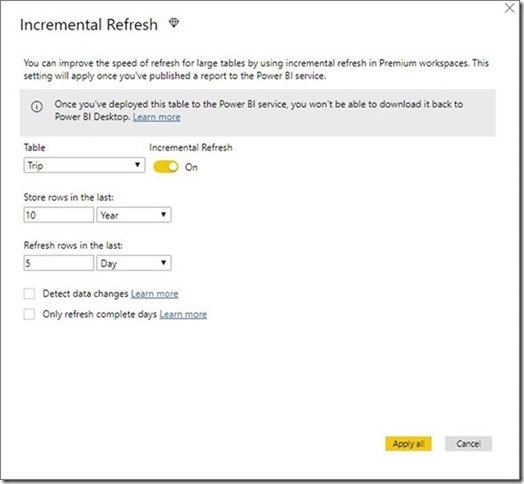 We have added another super power to Power BI Premium with the support for incremental refresh (preview)! 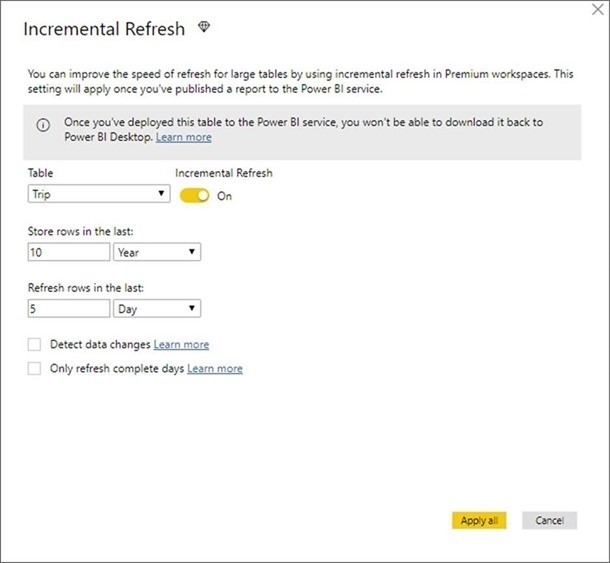 That’s right, organizations now have more control over the refresh policy of their large datasets and can determine how data is incrementally refreshed in the Power BI Service. With this feature, refreshes are faster, more efficient and more reliable because only the data that has changed gets refreshed. Learn more on how to enable this for you reports. We have now made it easier for users to get access to the Apps they need by allowing them to request access to an App. Often, users share links to each other about interesting Apps or deep links to reports or dashboards contained within Apps. Until now users would receive a message saying the content is not available. However, they are now prompted to request access to the App. When users accept and press OK, they are given the option to send the request and provide a justification for it. The request is sent via email to the Office 365 Group for the App workspace. The access requests can be viewed on the Access page of the App. Pressing Grant access in the email takes you directly there. You can use the new Pending requests lists to easily Approve or Delete the pending requests. Once you Approve requests, the users immediately get access to the App, so they can follow the App link to view the App contents. However, the app is not automatically installed for the user(s) until you press the Update app button. Finding Apps in Power BI just got a whole lot easier easier! We have now brought in all the App discovery experiences directly into the Get Data screen. 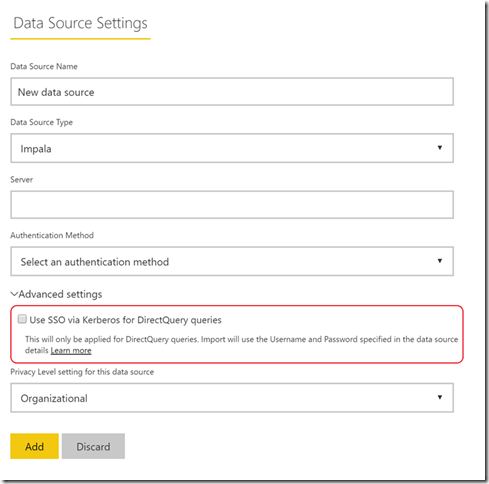 This enables users to quickly find and install organizational and service Apps through the workflow they’re accustomed to use to discover data they have access to in Power BI. That said, users can still choose to use the organizational and service content packs capabilities. The buttons moved to the bottom of the page as shown in the image above. 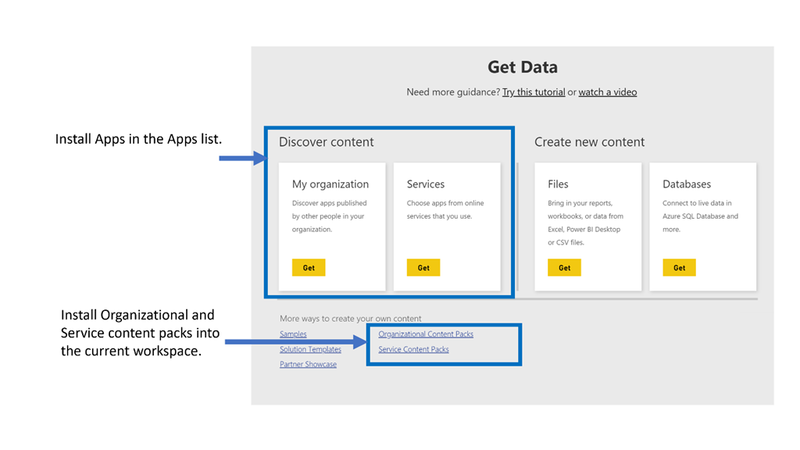 However, we recommend Apps to be your go-to when distributing content to large audiences in Power BI instead of organizational content packs or read-only workspaces. Learn more about apps. 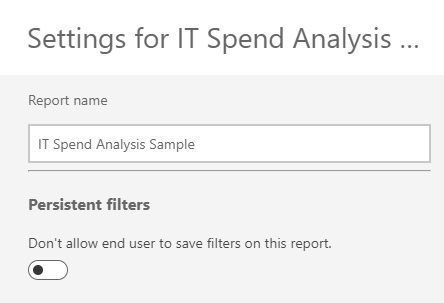 We also made it easier for authors to enable or disable the persistent filters for reports in the Service. You no longer need to republish from Desktop – instead you can quickly control the feature in the report Settings pane. 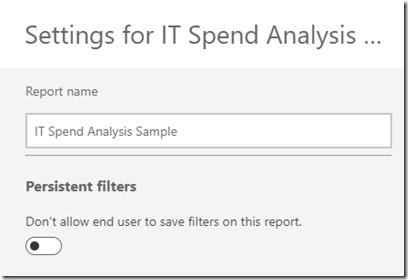 The pane can be found under the quick actions of your report content list in your workspace. We have seen increasing usage of our Azure B2B external user sharing features that help you collaborate securely across organizations. 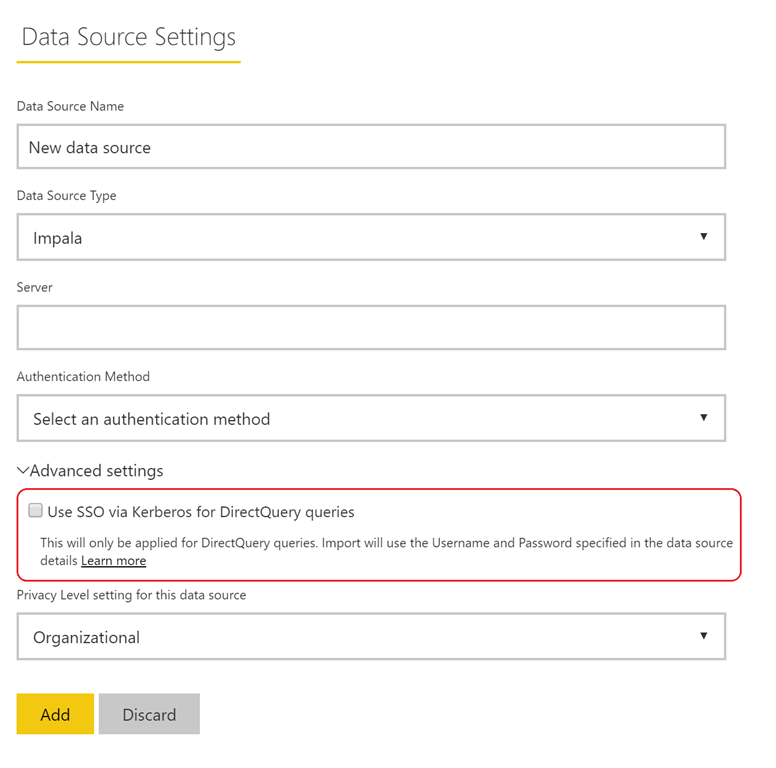 However, the invite acceptance workflow has been complicated because the user needs first to accept the Azure B2B invite, and then click the link to the Power BI content in a separate email. Moving forward, we have simplified the workflow for reports so that invited external users get a single email to the report in Power BI. When they click the link, they accept the invite and can immediately access the content. It’s a simple way we’re trying to smooth out the wrinkles to make it easier to collaborate across organizations. 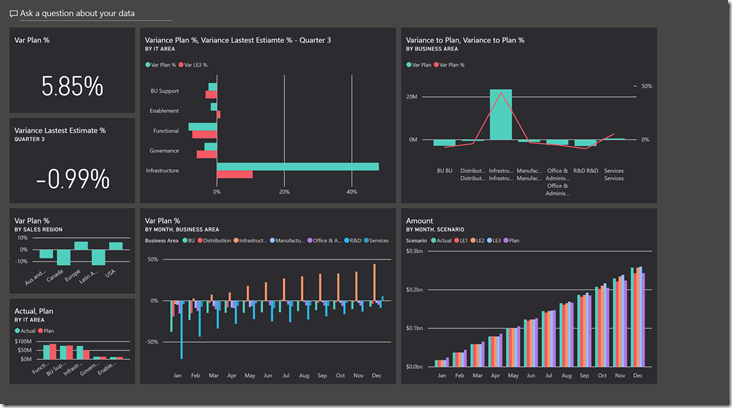 We also released an updated version of Power BI On-premises data gateway for the month of May. The latest version (14.16.6697.1) includes a limited preview of Impala SSO support using Kerberos, improved support for Kerberos SSO for SAP HANA, and an updated mashup engine. Try it out for yourself by installing the new gateway or learn more about the new capabilities here. When a drill through is defined in your report (visit here to learn how to add drill through to your report), tapping on a data point will bring up the drill through option in the tooltip. Tip: You might have multiple drill through options, each taking you to a different page. In that case you will need to choose which one you want to drill through. 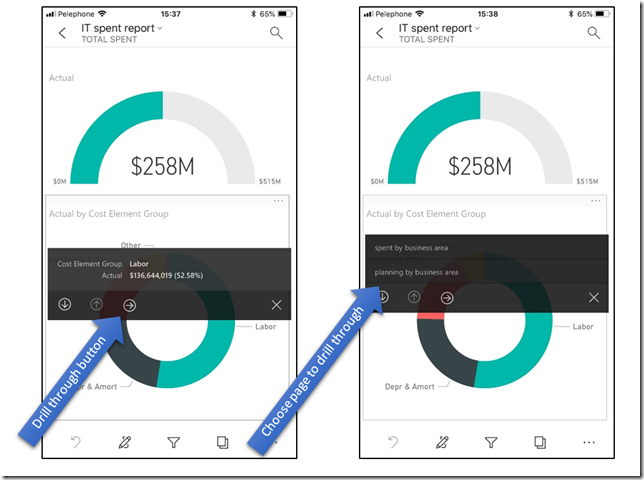 Lastly, we added a new capability in iOS devices for IT administrators to remotely configure employees’ apps on their mobile phone with Report Server details using their preferred MDM tool such as Intune. Once this is done, all users have to do is to accept the configuration and sign in with their password to complete the connection to the server. IT administrator can create “app configuration policy” as described in this article, and choose the set of users the policy will apply on. 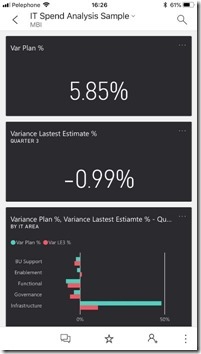 Once the configuration is published, Power BI Mobile app will prompt the users with a sign-in message that will configure the policy on their device. The phone optimized report view, when authored in Power BI Desktop and published to the Service, gives mobile users a tailored portrait view experience on their mobile devices. The feedback that we go from many authors is that the length of the phone report canvas is not enough. We heard you loud and clear and that why we have doubled it! 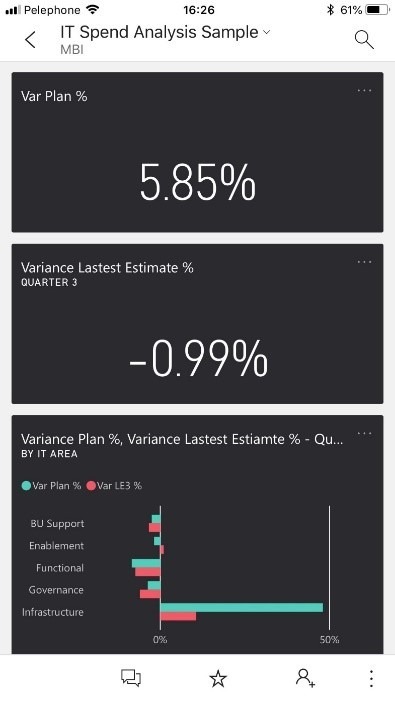 You now have more flexibility to accommodate more visuals in each page of a report on you phone.